The new Antihero Spring Catalog just went up with Robbie Russo getting surprised with his first pro signature deck. Dig a bit deeper and you find Raney, Julien, T-Mo and Baby G at the Bronson Ditch in the new Landfill Contributors #1 series. And while you’re at it, check out the new guest art decks from Lance Mountain, Jef Whitehead, and more. 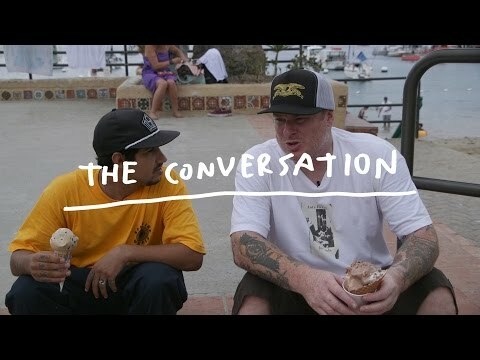 Join Robbie Russo and Jeff Grosso for “The Conversation” while cruising around Catalina island along with a look at the latest release of skate goods from Antihero.